After overthrowing the portugese and Dutch, the British established the British East India company in Surat, Ahmedabad, Broach and Agra. Battle of Plassey, between the English and Siraj-ud-Daulah, Nawab of Bengal. Battle of Buxar, between the English and a trio of Mir qasim, Shah Alam and Shuja-ud-Daulah. The Nawabs were badly defeated. The first revolt for freedom: Great leaders like Rani Lakshmi Bhai, Tantya Tope and Kunwar Singh had sacrificed their life fighting for freedom. Lord Curzon partitioned Bengal. 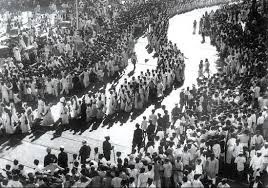 Indian leaders started the Swadeshi and Boycott movement to oppose the partition. The INC and Muslim league met and got united, to fight against the British. They signed the Lucknow Pact. Several innocent people were murdered recklessly in the Jallianwala Bagh massacre. Lahore session of congress launched the Civil Disobedience movement, demanding for complete independence. 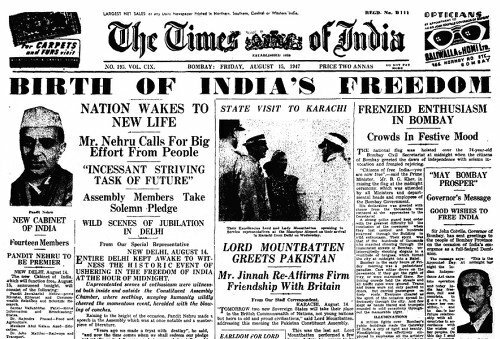 The day was observed as the first independence day by Congress all over India. This day is the present Republic day. The all India congress committee met at Bombay. It passed the famous quit India resolution. Mr.Atlee declared that British would quit India by June 1947. This day is a great landmark in the History of India. 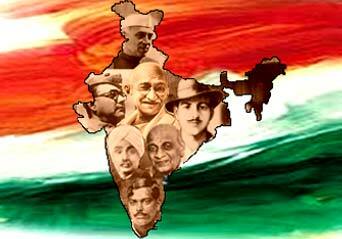 India won freedom but lost its unity. The freedom struggle wasn't a bigger version of today's strikes and protests. 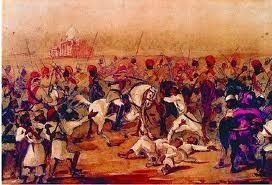 It was a mixture of fights, oaths, sacrifices and bloodshed of several hundred Indians. The freedom which we so obviously enjoy today, wasn't always so obvious for us Indians. It is a gift presented to us by our great leaders. We must utilise it productively.